Google Analytics tells me that this blog is read by people all over the world. Hello, Egypt! Hello, Germany! Hello, Brasil! Today I am going to focus on an issue central to life in the United States, so I beg forgiveness of those readers who don’t live here. I would, of course, love their opinions about this post, because I imagine their perspective on what I’m about to say would be fascinating. A lot of white people in the US don’t know they’re white. They think they just are, they think they are the default setting. If the answer to that last question is “not sure or “no,” do yourself a favor and read this classic essay by Peggy McIntosh. White people have had a whole lot of blood on their hands for the last four hundred years. It is not my intent to address that right now. I want to focus on storytelling. Specifically, white writers writing outside their (dominant) culture. This brings up the larger question: whose story can you tell? How should we write about people whose experience is different than ours? Is it appropriate to write from the perspective of a different gender, a different sexual orientation? What about religion? What about age? What about someone from a different ethnic background or culture or country? I believe that artists are called to be humble and lower their own sense of self so that they can be open to the experience of others and transform that into their art. I believe that artists are called to lead the culture, not to wait until it’s safe to take a stand. I’ve written from the male perspective (Twisted, Forge), from the African-American perspective during the American Revolution (Chains, Forge), and about children in different countries (a non-fiction book about Saudi Arabia, and my first picture book, Ndito Runs, about a Kenyan girl). I was criticized by both white and black Americans for Chains and Forge, though not as much as I thought I’d be. The criticism from some white people has been along the lines of “Why do you have to write about that slavery stuff? That was over a long time ago. We’ll never move the country forward if people like you keep bringing it up.” The criticism from a few black people was that these are not my stories to tell. The reason America struggles so much with the evil of racism is that we’ve never had the courage to study the history of our slavery and deal with its legacy. I’m the Queen Of The Elephant in the Room, folks. I’m going to keep on talking and writing about things that make us uncomfortable. There is not much I can say to change the opinion of people who think that I shouldn’t write from a slave’s POV because I’m white. No doubt there is a long and painful history behind that opinion. White people have been stealing stories (and music, and dance, and etc.) for as long as we’ve been stealing peoples and nations. I respect that opinion, but I disagree with it. I thought and prayed a long time before I wrote those two books. I spoke to friends and educators of all backgrounds trying to figure out if and how I could write from the perspective of Colonial-era slaves. I decided, in the end, that it was my story, too. Slavery is not only an African-American experience. Slavery is an American experience. If I, a middle class white female writer, with all the privileges that entails, could not find a way into the hearts and souls of Isabel and Curzon, then there could be no hope for my country. But to do the job well and responsibly, I had to research the topic like no one ever had before, and then have historians comb over my manuscript to make sure I got it right. Researching the experiences of other people means checking your assumptions at the door. You need to seek out primary sources that were composed and controlled by the people you seek. You must study the broader world of your character so that when you come across “facts” you can analyze them within the context of their time and space, and with a critical view toward the source of the data. You have to be willing to approach people who know more than you do and ask for their guidance and help. And you must listen to them. We read to understand people whose lives are different than our own. Some writers will feel called to write about people who are unlike themselves. You can do it, but you must do it with humility, respect, and a lot more research than you realize. There are two bloggers you simply must read if you are thinking about writing characters from non-white backgrounds. The first is Debbie Reese, who is tribally enrolled at Nambe Pueblo. A former professor in American Indian Studies, Debbie is currently working on a Master’s Degree in Library and Information Science with the goal of establishing a library and tribal archive at Nambe. Her wonderful blog, American Indians in Children’s Literature looks at the way Native Americans are portrayed and represented in children’s literature. Her blog is a wealth of information. To start, check out “Authenticity and Sensitivity: Goals for writing and reviewing books with Native American themes,” which she wrote for School Library Journal. Thank you, Debbie, for encouraging me to write about this topic today! The other blogger is my friend and wonderful author, Mitali Perkins. You should be reading her blog anyway, if you want to publish for children. But her posts Ten Tips About Writing Race In Novels and her “writing race checklist” are very good tools. Sci-fi and fantasy author Nisi Shawl has a great post, Transracial Writing for the Sincere. And the almighty and ever-amazing Cynthia Leitich Smith (yes, she of one of the best children’s literature websites out there) wrote an “It’s Complicated” post about writing outside your culture. I suspect I’ll be writing more about this once WFMAD is over, but this is a good start to an important and complex topic. If you know of other websites or resources that would be helpful for folks looking to write outside their own experience, please let me know in the comments section. 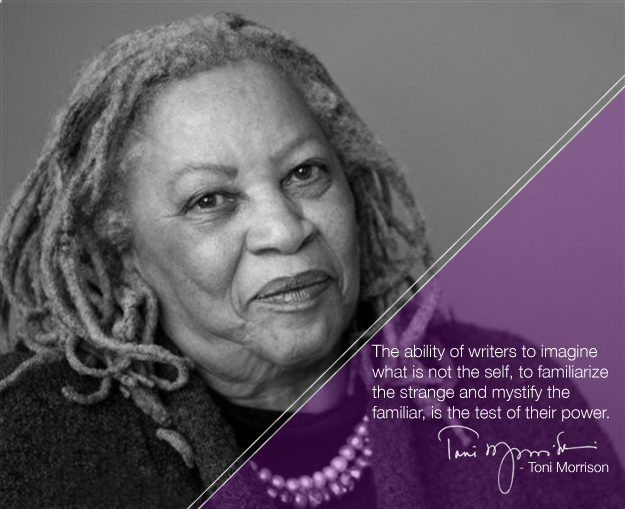 Today’s prompt: What kind of character would you feel completely unable to write about? Why? List five things that would start you on the path to understanding that character well enough to start writing. I love the idea of this and think primarily it is very hard to write outside of one’s race/socioeconomic status, but what a challenge it would be! As for me….the first thing that came to mind in writing a character I could never write would be a serial killer, methinks. Why? Goodness knows I’ve read enough about them – thank you, Ann Rule – but cannot fathom why they do what they do. I mean I have a fundamental understanding but not of what makes them feel (or not feel) the way they do. Also, just love love loving your blog so very much. It’s definitely keepign me on my toes and thinking. Laurie — I am enjoying your 15-minute challenges and learning a lot about myself and my writing, after more than 40 years in the business. My play “A Woman Called Truth,” a celebration of the life of Sojourner Truth, brought much of the same reaction you’ve seen with your books about slave characters: major awards, more than 30 years of productions, and some criticism because of who I am — or who I am not. I give others much the same advice as you’ve given. I add Walter Dean Myers’ comment when I asked him how he dealt with people who criticized him for writing a book from the point of view of a white character (and there was plenty of criticism), “If you don’t like it,” he said, “do it better yourself.” And I mention the logical conclusion to the “authenticity” argument that only members of a group are qualified to write about that group: By that standard, I could write only about middle-aged, middle-class, near-sighted, Jewish women. And only middle-aged, middle-class, near-sighted, Jewish women could attend my plays or read my books because nobody else could possibly understand what I was talking about. Many thanks for all you’ve shared with us, Laurie. This is such an important topic—and you cover it so well. Another writer writing bravely beyond borders is my friend Susan Straight, whose award-winning novels take readers into different times, different cultures, different skin. I like to think about experiences as a collective human history–no matter where our ancestors came from, they’ve gone through horrors and oppression. Yes, some cultures had things worse than others but common themes run throughout. We are all one human family and I think sharing stories is a great way to gain understanding and learn from the past, no matter the cultural origin. I have ancestors that had an extermination order placed on them by a U.S. governor. They were driven out of their homes on numerous occasions and eventually walked across 1300 miles to find a place they could live without being ostracized for their beliefs. My “new” WIP (I’ve been researching and outlining it for over five years) is set during the Spanish American War. The POV character is an Irish-American Catholic (which I’m not, well a wee bit of Irish, like most American mutts.) Her best friend is 1/4 African-American (her grandmother was a slave during the Civil War.) The book has several key scenes dealing with Jim Crow laws and race riots/tension in the Tampa camps. I’m sure it will enrage some of my family members born and bred in the south, if they happen to read it/hear about it, but it was something I’ve been deeply touched by during research. Hopefully I can channel my own experience of being a minority in a school setting in southeast San Diego, my empathy for those different from the societal norm (hello special needs son), my heritage of religious persecution, the history of suffering from our African-American neighbors, and the stories from my mother who attended school with armed national guards during forced integration in 1960s Alabama to create a novel that is true to the human heart. I’m all in favor of talking about uncomfortable things, but I’d say no one has ever done so much studying of slavery (or anything negative in their past) as Americans. If the white people who commented had said that dwelling on it to this degree has begun to cause more harm and paralysis than good, I’d agree with them. Those parts of history will always be told, and acknowledged, but it has begun to look to me as though efforts to artificially build an African-American racial identity by treating slavery’s stories as a national epic are having terrible side effects in fostering black racism, sexism and homophobia, like thug street culture. If we’re going to criticize ourselves, let’s also see at the same time an increase in honest criticism of black Americans and of negative aspects of African-American culture. Handworn, your first sentence is empirically incorrect. Egyptian and Roman empires have dynasties older than post Columbian history, and exponentially more thoroughly documented. Slavery in the United States of America was an institution for at least a couple hundred years, so to treat it as anything other than a national epic would be disingenuous. You need not look further than cable television to find the fostering of racism, sexism, homophobia, and thug street culture. I challenge you to find Black Americans in the board rooms of those cable networks deciding what hits the airwaves. “Honest criticism of black Americans and of negative aspects of African-American culture” can not be conducted without criticism of American Culture at-large.